Every year there is a battle royal between the two outstanding wines from dapper owner Prince Robert of Luxembourg, with First Growth Haut-Brion tending just to come out on top. Not so in 2006 where La Mission is definitely the star of the show. Its 2006 has an incredible depth and focus, with subtle creamy new oak and intoxicating blackberry and plum fruit dancing across the palate with some delicacy. The incredibly long finish is as good as any outside of Ch. Latour. This displays its trademark silky, feminine elegance but in 2006 has added structure and multi-layered richness. Exquisite. The Wine Advocate - Tasted at Bordeaux Index's annual 10-Year On tasting in London. The 2006 Chteau La Mission Haut-Brion has a very attractive, captivating bouquet: red berry fruit, warm gravel, Hoisin and a pinch of truffle all beautifully conveyed. 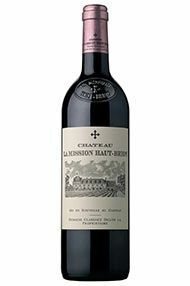 The palate is medium-bodied with fine tannin that lend this La Mission such symmetry and detail. It is not a powerful wine, never pressing its foot down hard on the accelerator, but that is one of it strengths, and those black truffle and mineral notes surfacing towards the poised finish are entrancing. Classic from start to finish, the only facet that is missing is that peacock's tail on the finish. Tasted January 2016. 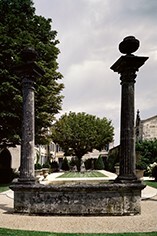 Parker - One of the vintage-s top wines is the 2006 La Mission-Haut-Brion. From bottle, it reminds me of the 1998, given its structure and backward style. Dense ruby/purple-colored, it possesses a boatload of tannin, but with coaxing, tobacco leaf, sweet black currant, burning ember, and blue fruit characteristics emerge. While thick and full-bodied, the tannins seem more elevated than I remember from barrel. It is going to be a beauty, but like many of the top 2006s, considerable patience is required.